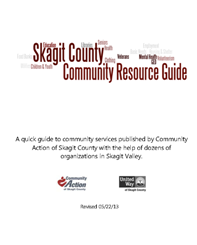 The Community Resource Guide contains addresses, phone numbers and brief descriptions for dozens of resources in the community. 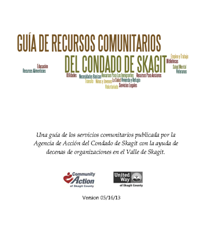 See below for the latest versions in English and Spanish. If you come here often be sure and clear your browser's cache. Jan 10th, 2019 - removed Shepherd's Heart Care Center as they are no longer in operation. A page-by-page screen computer/tablet friendly version of the Resource Guide. Also fits on 8.5 x 11 inch paper for bigger font and easier reading. A half-letter sized "pocket guide" that's convenient to take on the road or have at your desk. Requires double-sided printer.